Historical fact: Olean, New York was a large producer of bricks at the beginning of the 20th century. Olean, Jamestown, and Corning made up the three biggest brick producing cities in the state at that time. Olean Red bricks are consistently dark red with little variation of color and texture. 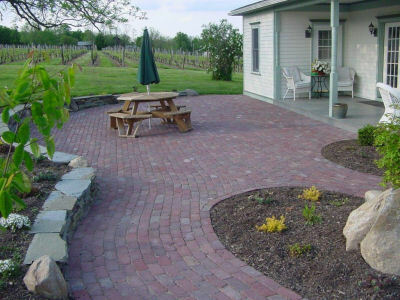 These bricks offer a smooth surface with a clean look that is perfect for patios and walkways! Call us at 716-691-3061 or visit our website at www.exbricks.com for more information.